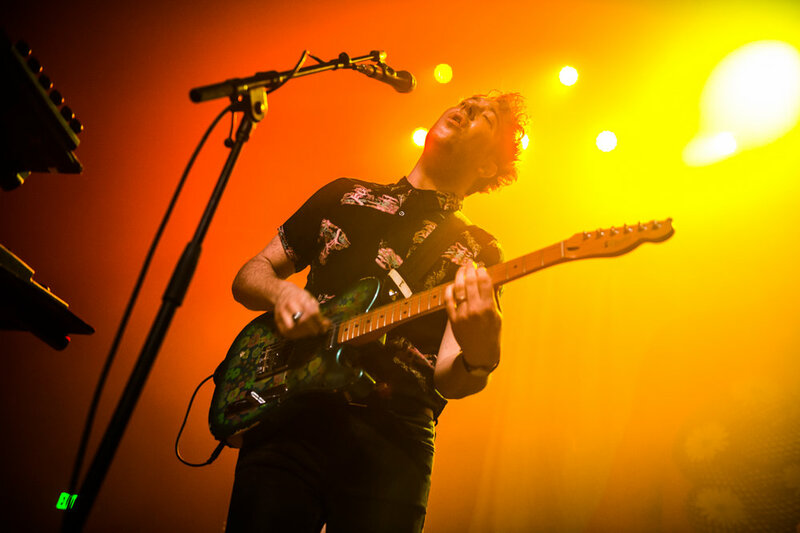 Recently Angelenos took to The Fonda Theater to see U.K. rockers, The Wombats! Attendees came with high energy with dancing shoes in tow in anticipation of the fun-high energy performance set before them. The 90 minute set was a mix of older singles as well new items from their upcoming fourth studio album, Beautiful People Will Ruin Your Life, which drops on February 9th. As the fog and neon lights covered the stage, paired with funky beats it was easy to say we all traveled back in time to an electrifying 80s rock show. The Wombats choose the safe route and opened with their single, 'Cheetah Tongue,' which they recently released their video for, (see below.) The single is clearly buzz-worthy, upbeat, and perfect as its the embodiment of their stage presence. "Hey Los Angeles, - let's fu*k," frontman Matt Murphy demanded before stating his excitement to be back in Los Angeles. About 4 songs in, the mood shifts. Energy is higher than before and a trance comes over the crowd as The Wombats sing their single, 'Kill the Director.' The excitements is equivalent to that of singling 'Bohemian Rhapsody' at karaoke. The crowd was jumping out of their seats and the energy was contagious and set the tone for the remainder of the show. The English rock band formed in Liverpool in 2003 and have been making waves ever since. The band is composed of lead vocalist and guitarist Matthew Murphy, drummer Dan Haggis and bassist Tord Overland Knudsen. Some may argue that wombats are notably known for their upbeat singles that are undeniably as catchy as Taylor Swift's songs, however I'll go with Murphys statement fashion choices. 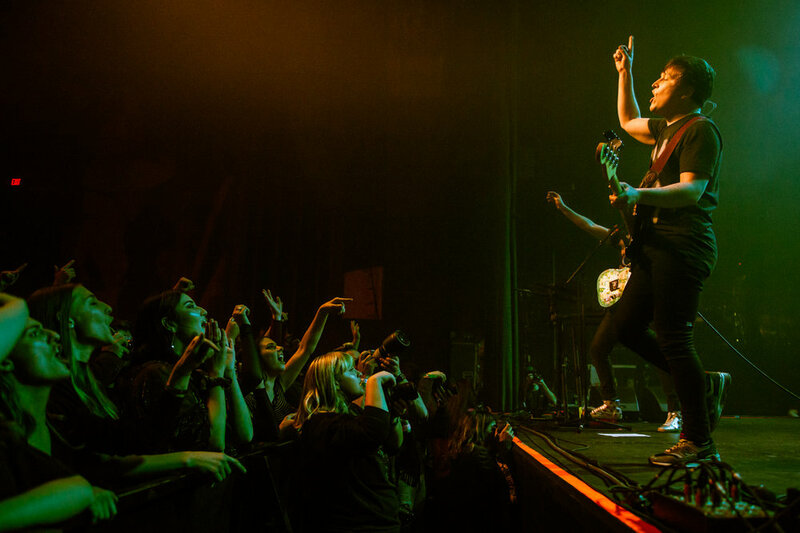 A fashion lovers dream, The Wombats took the stage at The Fonda as runway masterpieces that would put Zara and devoted Who What Wear readers in a riff, and not to mention - its total fashion inspo for festival season! The Wombats latest album is set to release February 9th and we can't wait to get our hands on a copy! What's your favorite single? Let us know in the comments!